Over the past year, the Global Campaign for Education – US (GCE-US) has been actively advocating for disability inclusive education. With support from Light for the World and Open Society Foundations, GCE-US has hired a Disability-Inclusive Education Advocacy Officer, and has incorporated a coherent disability inclusive approach as it provided comments on draft US government strategies on education and child protection and on proposed legislation on girls’ education. The purpose of this blog is to focus on GCE-US efforts by commenting on the now final USAID How-To Note on Disability Inclusive Education. In the Spring of 2018, USAID released a draft version of this How-To Note, seeking comments from the public. The GCE-US convened a consultative meeting attended by several of its members to discuss the draft and to coordinate the submission of responses and comments to USAID. We are very happy to share that the final draft of the How-To Note on Disability Inclusive Education incorporates many of the comments submitted by the GCE-US and its member organizations and friends. 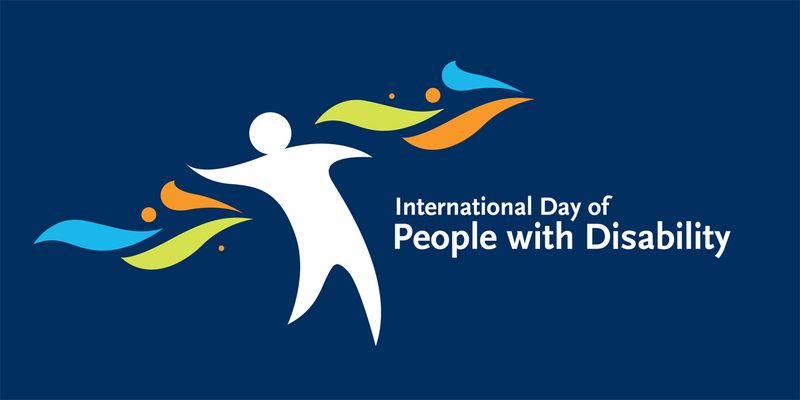 On this International Day of Persons with Disabilities, the GCE-US commends USAID for the improved final version, and for its transparency in seeking and incorporating many important points made by education and disability organizations and experts. The final Note begins on page one with a strong statement about inclusion: “Inclusive Education means having one inclusive system of education for all students, at all levels…with the provision of supports to meet with needs of students with disabilities.” This section goes on to emphasize that successful inclusion means that teachers are trained in Universal Design for Learning and can provide “differentiated instruction” for all learners. In making the case for disability inclusive education, the final How-To Note now includes a specific reference to a Global Partnership for Education (GPE) study of school-age disability in Cambodia, which offers the reader with a nuanced understanding and visual presentation of the complexity and multi-faceted nature of disability. In discussing how to budget for disability inclusive education and reasonable accommodations, the final How-To Note offers that “at least” 3-5 percent of program budgets and 1-3 percent of operating budgets are allocated for reasonable accommodations. By adding the words “at least” to this guidance, the final How-To Note presents these values as a floor for expenditures for reasonable accommodations, and not as a ceiling. In discussing the process of achieving disability inclusive education, the draft indicated that this process will be “gradual and multifaceted.” The final Note offers that the process of achieving disability inclusive education should be “deliberate, purposeful, systematic, and multifaceted.” This shifts the approach from being “gradual” or eventual, to being intentional. These bullet points are just a handful of examples from the final Ho-To Note on Disability Inclusive Education that offer hope, promise, and opportunity for students with disabilities that are served by USAID projects and by USAID implementing partners. To further ensure that this How-To Note informs and affects the execution of USAID funded projects, the GCE-US encourages USAID to include this final Note as an addendum to all USAID education requests for proposals and applications. Jerry Mindes is a GCE-US individual member and independent advocate and consultant on disability inclusive education and development. Anna Martin serves as the Disability-Inclusive Education Advocacy Officer with the Global Campaign for Education-US (GCE-US) and Light for the World.